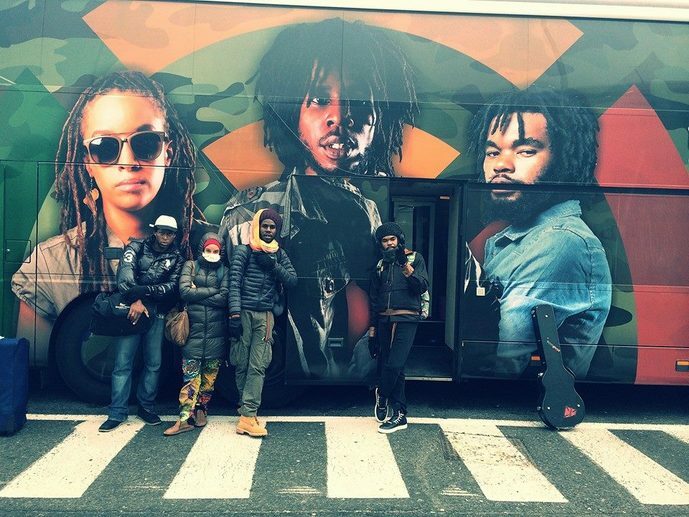 Chronixx and crew beat up after show in Paris? At a reggae concert in Paris France at the La Cigale venue Sunday the 6th of April 2014, the performers (Barrington Levy, Chronixx, Kelissa, Dre Island and French Roses Band) and their immediate parties were all asked to wear identifying armbands in order to have access to the stage and back stage areas. But according to an eyewitness, Chronixx and his party refused to wear the armbands and proceeded to rough up the security guards. After his performance was over and unknown to him, a group of guards with high powered weapons and baseball bats were waiting in the wings for them. It was reported that the beating that Chronixx and his posse suffered was horrendous, they ran for their lives and sought refuge in a chateau. The occupants of the chateau hid them and had to call for the French Authorities in order to save them. Miss Joan, reporting from Paris, France.